WARNING: Query could not be executed; Incorrect integer value: '' for column 'userid' at row 1 ( REPLACE INTO activeusers (ip, lastseen, userid) VALUES ('18.212.239.56', '1556013042', '') ). 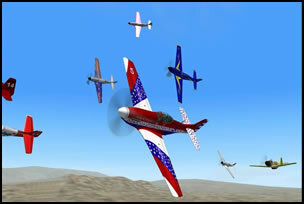 PROPS Racing offers the BEST online air racing in existence for MSFS! Our expansion is rapid and our racers are competitively aggressive. All races are now run on FS2004. With multiple racing classes, exclusive aircraft skins, race course scenery and the most accurate and comprehensive race scoring program in existence. We're not just racing ... we're breathing excitement. If competing at over 400mph, 50' off the deck interests you, then join us today. PROPS 2005 Season is just around the corner. Don't wait until the checkered flag to find your new racing home. Go Fast, Fly Low and Turn Left!!!! PROPS Racing is member supported. Make PROPS Racing your home page.